Manufactured from heat treated high grade Chrome Vanadium Steel for improved quality and a long lasting life. Hex sizes range from 1.5 - 10mm. Featuring Ball ends and straight hex ends, these keys allow you to get into awkward areas (up to 30 degrees angle) with minimal effort. All neatly kept in a handy organiser, you'll never lose your hex keys again. 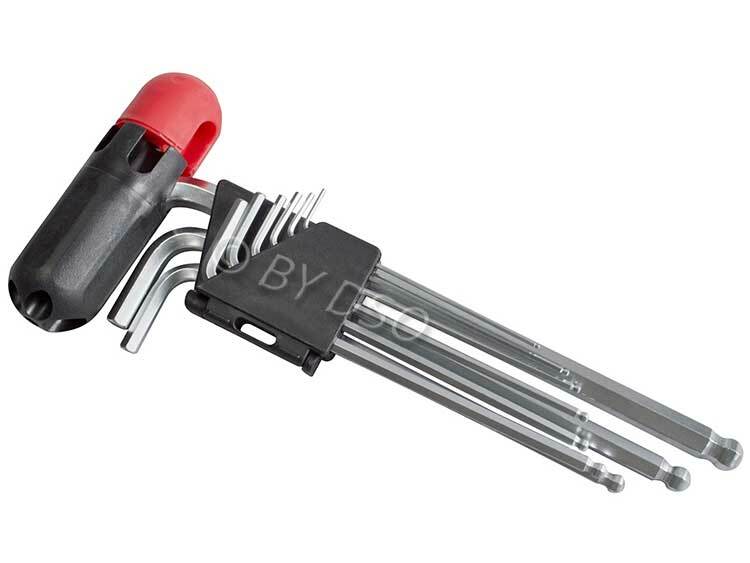 Ideal for mechanics, engineers, Home DIY enthusiasts, etc.